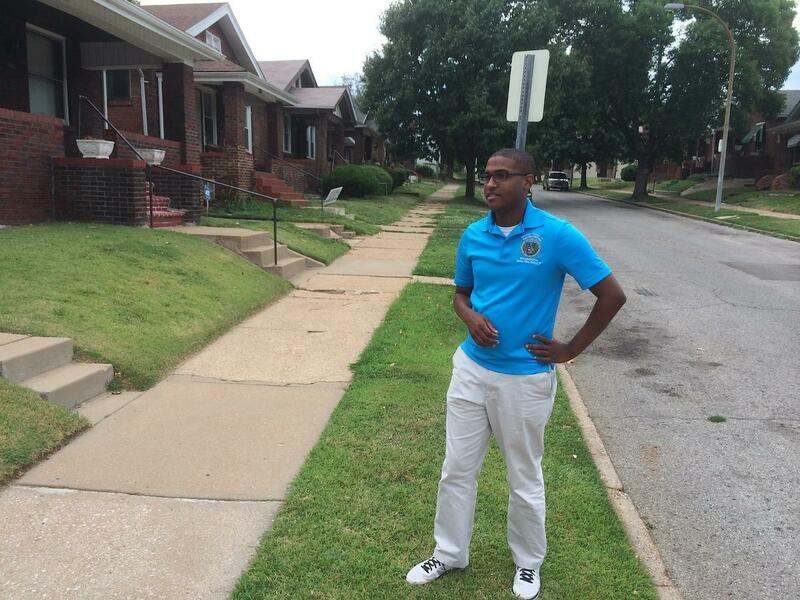 State Rep. Joshua Peters, D-St. Louis, campaigns in the Penrose neighborhood of St. Louis. Peters is running for re-election in the 76th District, which encompasses a portion of north St. Louis City. On a slightly overcast day in St. Louis’ Penrose neighborhood, state Rep. Joshua Peters briskly moved from brick bungalow to brick bungalow to get the word out about his re-election campaign. Sporting a sky blue polo and dark-rimmed eyeglasses, the 26-year-old exuded the experience of an old political pro when greeting potential voters. Sophia Hubbard told Peters a member of his campaign staff had already come to her door. 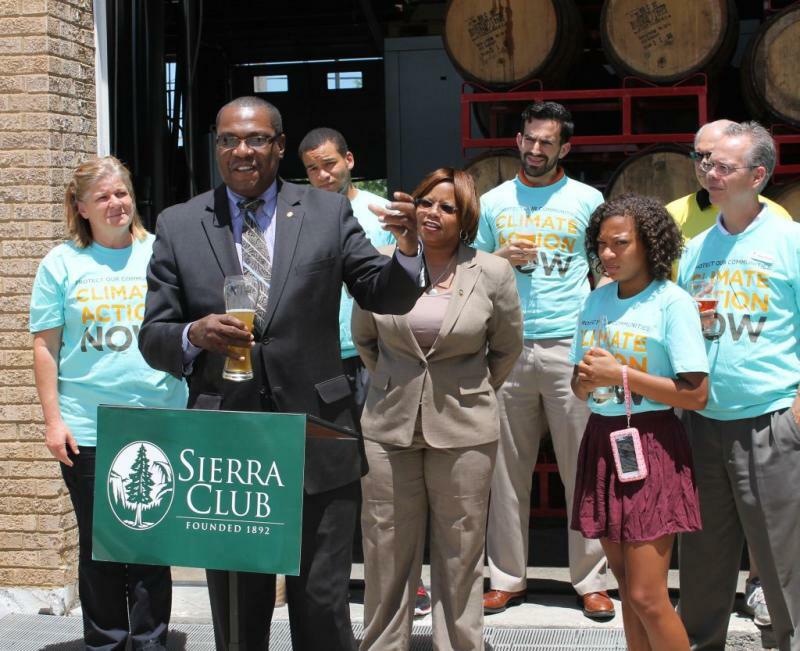 Oliver Williams told him something similar – and signaled that Peters had his vote on Aug. 5. Visit our Primary Election 2014 page to see all our coverage of the candidates and issues on the Aug. 5 primary ballot. Peters will need as many people like Hubbard and Williams as possible if he is to return to Jefferson City because his re-election is anything but certain. Peters is engaged in a competitive race against fellow Democrat Chris Carter, Sr., in the heavily Democratic 76th House District in north St. Louis. Carter is a member of one of the city’s most storied political dynasties, which brings name recognition and political support – especially since Carter’s 27th Ward is a population center within the district. But Carter said he’s not trying to skirt by on his family name. Rather, he said he’s kept up a relentless campaign schedule with paid and volunteer canvassers. And he’s prodded constantly by his son, Alderman Chris Carter III. Both candidates say they stump hard because they want to make north St. Louis better. 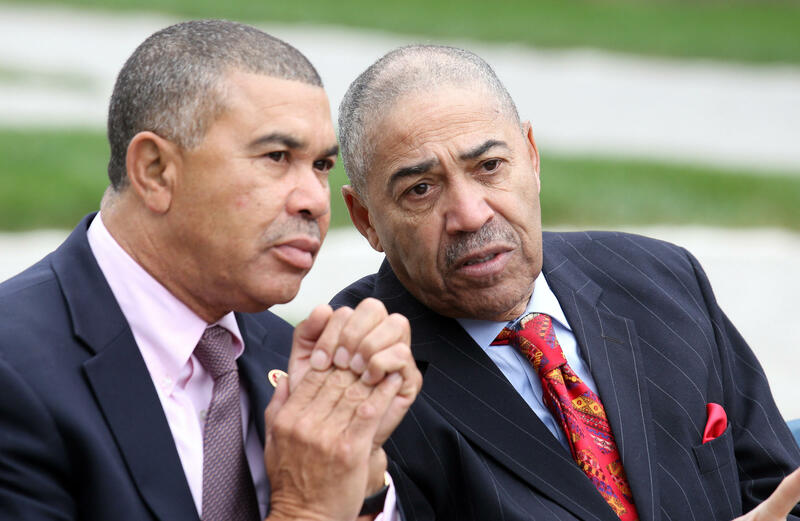 But this race also could be a test of the Carter family’s political strength -- and the strength of Peters’ former boss, U.S. Rep. Lacy Clay, D-St. Louis. In some ways, Peters’ bid for another term in the Missouri House is a small challenge compared to what he’s been through. The Wells-Goodfellow native was homeless for part of his childhood, at one point living out of his car with his mother and siblings. Peters shakes hands with House Speaker Tim Jones, R-Eureka, after he was sworn into office last year. Peters won a special election to fill a House seat formerly held by Chris Carter III. Peters – a graduate of Beaumont High School – witnessed a constant stream of violence. Peters became the first member of his family to get a college degree when he graduated with honors from Lincoln University in Jefferson City. Before going to Washington, D.C., to work for Clay and for Under Secretary of Education Martha Kanter, Peters spent some time interning for Missouri lawmakers like former state Rep. J.C. Kuessner, D-Eminence. Peters discusses his life, his legislative service and his race against Carter. Peters notes that he sponsored two bills that passed the Missouri House. He also vocally opposed a school transfer bill vetoed by Gov. Jay Nixon, even gaining a bit of attention when he called for a closed session of the Missouri House to discuss the legislation. “The folks in Normandy deserve way more than what they’re getting,” Peters said. “It’s a disappointment to see that we have rented politicians who pretty much set the students out to fail in my opinion." If he wins re-election, Peters said his priorities include enlivening economically struggling part of his district. He also wants to do whatever he can in Jefferson City to build up the city's public schools, which currently are provisionally accredited. “One of the first things I want to do is I want to see to it that St. Louis Public Schools are fully funded and that they get their accreditation back,” Peters said. “After all, I come from the public sector having graduated from Beaumont High School and [Lincoln University] — both public institutions. I believe in public education. I want to see that happen." If Peters wants to go back to Jefferson City next year, he’ll have to work for it. Politics is the Carter family business. Chris Carter, Sr., right, is making his first run for political office. 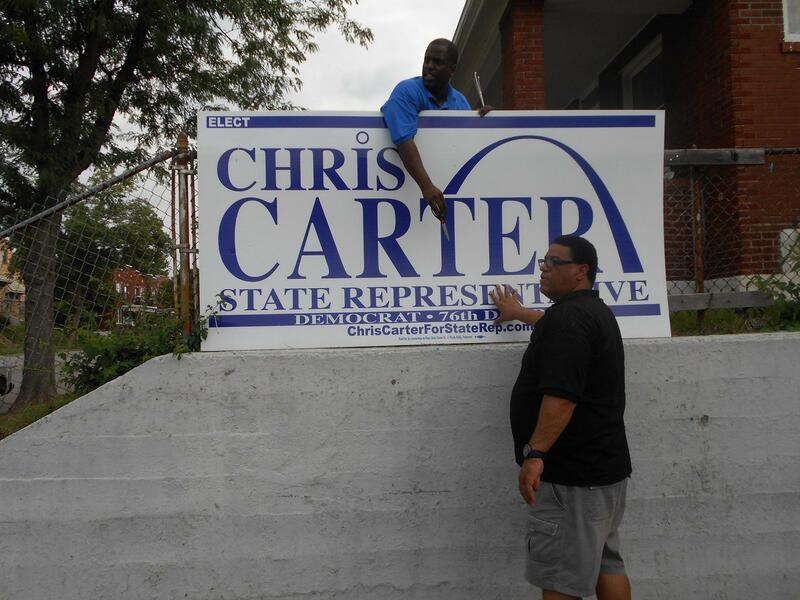 Carter's family is well-known throughout St. Louis City politics. “We were breastfed into doing this as little kids back in the early '60s,” Carter said. The best evidence of that humorous adage can be found at the Carter family compound in the city’s 27th Ward, which features wall after wall of signed bills and photos with the some of the state’s political royalty. It’s a monument to one of the city’s most storied political dynasties. Carter’s mother, Paula Carter, was an influential state representative and senator. She had a legendary reputation for candor and for being a tough and effective negotiator. His brother Greg Carter was a city alderman for years. 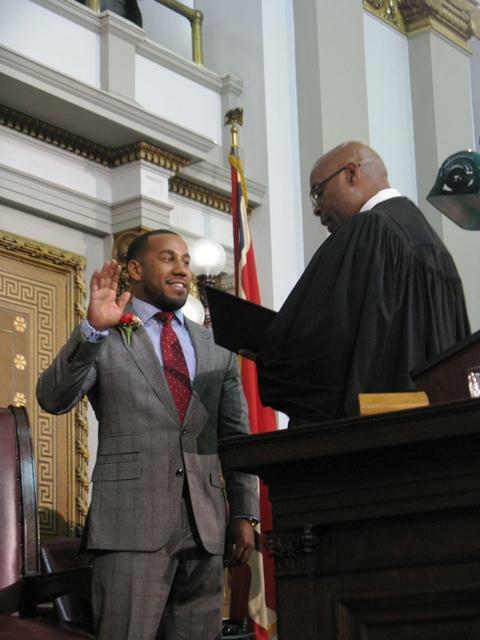 And his son, Chris Carter III, served in the Missouri House before getting elected to the Board of Aldermen. Needless to say, the Carter family name is well-known in the 27th Ward. Chris Carter, Sr. and St. Louis Alderman Chris Carter III talk about the 76th District contest and the Carter family political legacy. In any case, Carter – who has worked for his family’s security and property management businesses for several decades – wasn’t angling to jump into the political fray. But things changed when his brother Greg died in a car accident in 2012. Soon afterward, elderly residents came by with $5 checks to support his electoral ambitions. Carter took it as a sign to enter the political fray. Like many legislative primaries, the campaign has its share of political and personality conflicts. U.S. Rep. Lacy Clay, left, and former U.S. Rep. Bill Clay converse at a bridge dedication. Some state lawmakers and city aldermen are supporting Carter because they don't care for Clay. The elder Carter said that Peters has a promising political career ahead of him but he has a more robust professional connection to the community. “He lacks the experience that I have,” said Carter, who served in the Army and in the St. Louis Police Department before going into private business. The biggest conflict, though, may revolve around Clay, Peters’ former boss. Some aldermen and state legislators are reportedly backing Carter because they don’t care for Clay. For instance, state Sen. Maria Chappelle-Nadal – a University City Democrat and fierce critic of the congressman – gave Carter thousands of dollars for his campaign. In part, she did it was because she's close to the Carter family. But, she added, that's not the whole story. Both the younger and elder Carter said Clay, who couldn’t be reached for comment for this story, has used heavy-handed tactics to neutralize political opposition. The younger Chris Carter said he was particularly perturbed that Clay, among other things, aggressively meddled in the discussions on who should fill his House seat. Alderman Chris Carter III details why he's been in conflict with Congressman Lacy Clay, D-St. Louis. This occurred, he said, even though the Carters worked hard in 2012 to help Clay beat U.S. Rep. Russ Carnahan, D-St. Louis, in a Democratic primary. For his part, Peters is proud of his alliance with Clay. In fact, the two have canvassed the district together over the past couple of months. But he said people may be missing the bigger picture if they try to make the race a referendum on Clay’s political power. Nasheed – who said she is staying neutral in the contest – said the outcome may hinge on which candidate has the best ground game. The St. Louis Board of Aldermen is back at full strength. 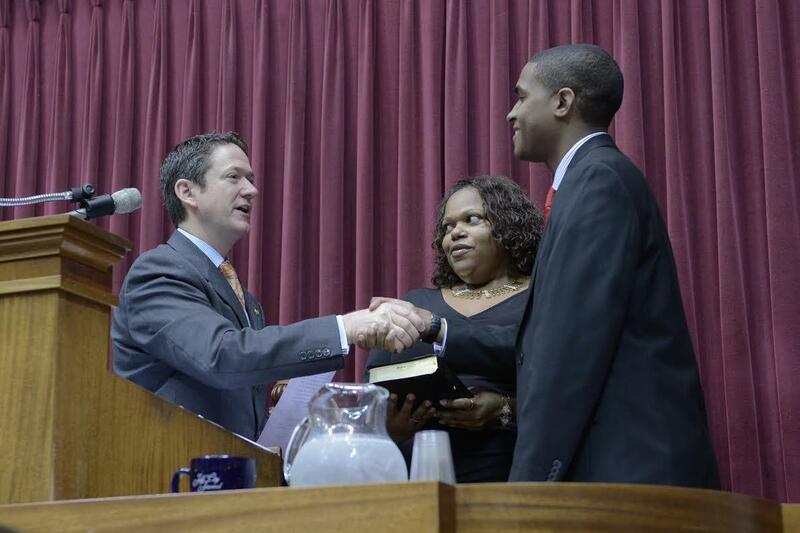 Former state Representative Chris Carter took the oath of office Friday at City Hall. Carter won a special election last week to finish the term of his late uncle, Ald. Gregory Carter, who died in a tractor trailer accident in August. State Rep. Chris Carter won a special election on Tuesday to fill the seat left open on the St. Louis Board of Aldermen after his uncle, Alderman Greg Carter, died in a traffic accident two months ago. Carter said it’s a bitter sweet victory and his first order of business is to tackle what he views as a cycle of joblessness and crime in his ward.